Make your bathroom look like new with this chic, useful piece from Delta. Make your bathroom look even fresher with this dual-control faucet. This item's deck mounted design is easy to set up so you can enjoy a finished counter top. This faucet is also WaterSense certified to help you and the environment stay clean. This piece from Delta has an all-around look that works well with many bathroom styles. 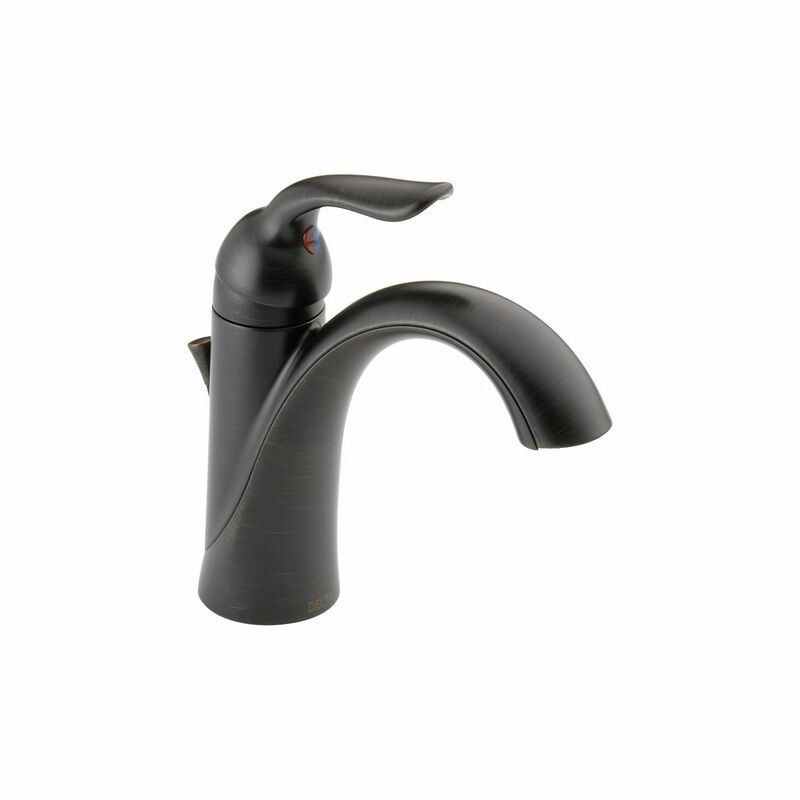 This dual-control faucet has a timeless design that looks great in any bathroom. Add more beauty to your bathroom with this item's easy-to-install, deck mounted design. This faucet is WaterSense certified for less water use to give you the same clean. Show off your style with this beautiful piece from Delta. This single-control faucet gives off a modern feel and looks great in any bathroom. This item's deck mounted design completes your bathroom with quick and easy set up. Save water and get the same clean with this WaterSense certified faucet. Lahara Centerset (4-inch) 2-Handle High Arc Bathroom Faucet in Bronze with Lever Handles Make your bathroom look like new with this chic, useful piece from Delta. Make your bathroom look even fresher with this dual-control faucet. This item's deck mounted design is easy to set up so you can enjoy a finished counter top. This faucet is also WaterSense certified to help you and the environment stay clean. Lahara Centerset (4-inch) 2-Handle High Arc Bathroom Faucet in Bronze with Lever Handles is rated 4.3 out of 5 by 83. Rated 4 out of 5 by AG from We bought three of these faucets to replace the Delta... We bought three of these faucets to replace the Delta Lahara Single-Handle Touchless faucets we had installed about eight years ago. The touchless feature had stopped working on all three around five years old and then one stopped working entirely. We like the look of the Lahara Single-Handle and bought these solely for that reason. They are louder than our previous faucets - you can really hear the water flow. These have a lifetime warranty unlike the five-year limited warranty the touchless had. Rated 4 out of 5 by Jodie from Color was great to go with other antique brass fixtures.... Color was great to go with other antique brass fixtures. Working fine after a week. Shows water spots and arrived with a few smudge marks that I have not been able to remove. Rated 5 out of 5 by Gordon from Heavy duty faucet that was easy to install and looks great! Heavy duty faucet that was easy to install and looks great! Rated 5 out of 5 by Betty from We replaced our old Delta bathroom faucets with this model... We replaced our old Delta bathroom faucets with this model and so far we are very pleased. We hired a plumber to change them out. All the parts were in the box and he had no problems. Rated 5 out of 5 by Gail from Looks beautiful. Fits well with the rest of the powder... Looks beautiful. Fits well with the rest of the powder room. Rated 5 out of 5 by Tracy from I have only had it installed for a week. Seems... I have only had it installed for a week. Seems great so far.